What if we focused the might of our collective efforts on being clean, attractive, and beautiful? 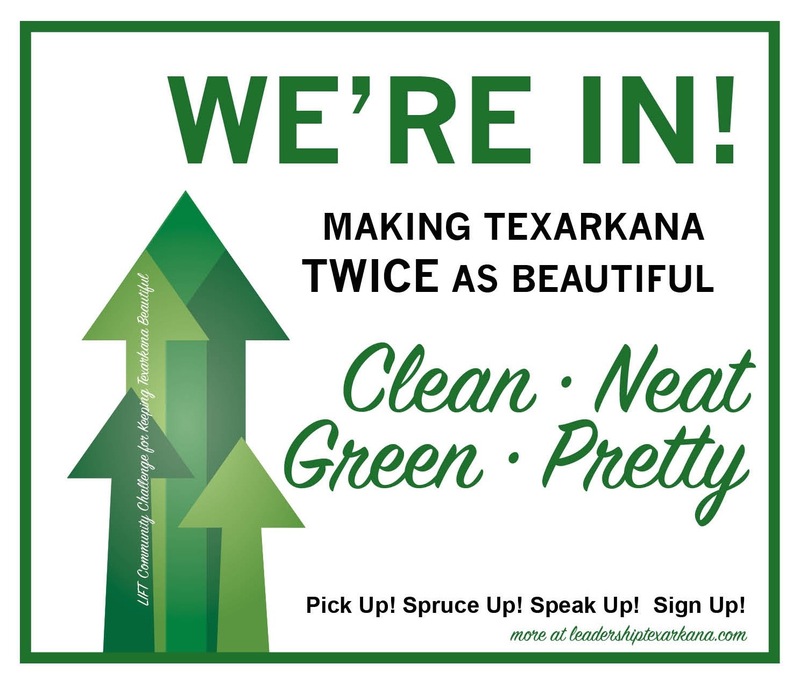 We have so much natural and manmade beauty to enjoy, BUT our appearance is an issue of concern to more than a few citizens and a topic that comes up repeatedly around tables in Texarkana USA. Some neighborhoods around our community are concerns, with many independent and city-led efforts currently underway making a positive difference in them. More often than not, however, the areas that generate the most concern among residents are our public byways and public areas. The questions folks ask are: Why can’t we do something about... The litter? Unsightly corridors? Unkempt sidewalks and medians? The neglect and decay of buildings by some property owners? We have been talking about these things for decades. Why? Given that we succeed when we have common agendas, the best answer is this: We are not unified in our efforts. We are a community of smart, generous, caring citizens whose primary challenge is that we lack a unifying focus for action on beauty. Through LIFT, we have an opportunity to act as catalyst in the community by offering focus - motivation - common purpose - and a rendering of the results folks desire to launch the conversation and issue a call to action. TexarkanaCAN! 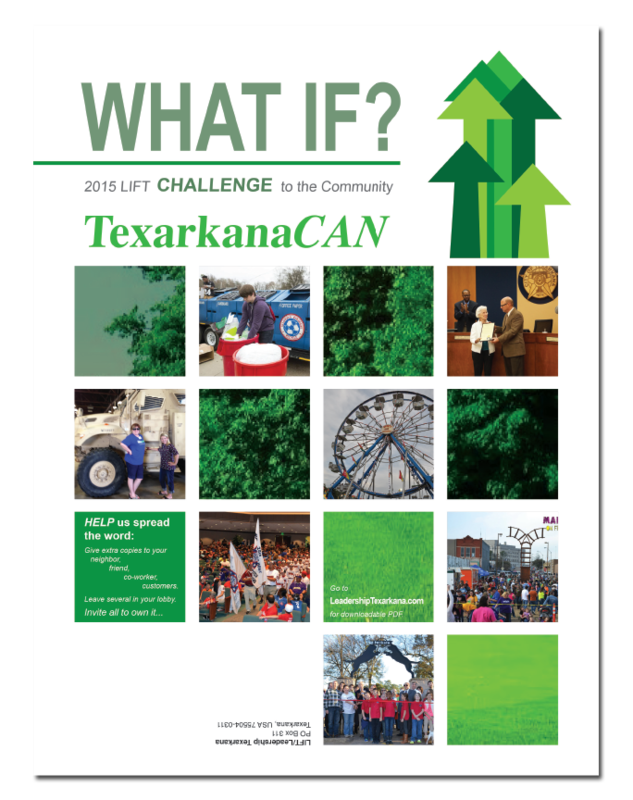 Texarkana Working Together with common purpose is HOW. Clean Neat Green and Pretty! Download and print a sign that says so... and hang it up! If you’re thinking - HEY! I’M not the problem I KEEP UP my property and my business and my home! If you are pointing fingers at someone or something else READ ON Organizations, institutions, businesses, are only the vehicles through which individuals work to garner collective impact, make group decisions on priorities, set policy, to organize and inspire others to act. Each individual can take a lead. To learn how, read the LIFT Community Challenge (.pdf).